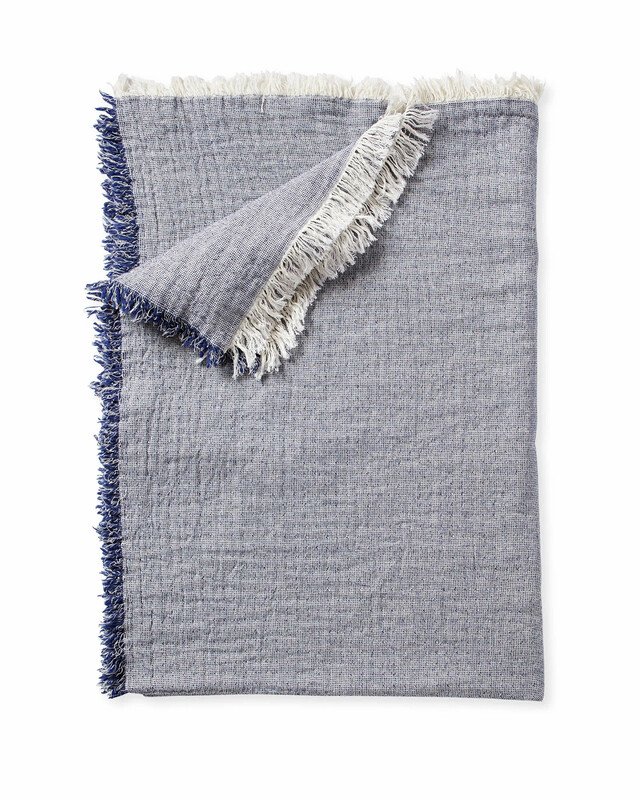 Skye Cotton ThrowSkye Cotton Throw, Navy alt="Skye Cotton Throw, Navy"
Print We love the lightweight feel and summery nature of this throw. It’s a great year-round layer and ups the style points for your sofa, guest room, or porch. A nice combination of white and colored yarns in the weave adds subtle texture. 75% cotton, 20% wool, 5% acrylic.